CAPS 2017 represents six years of partnership working and remains committed to the shared vision that 10% of everyday journeys to be made by bike by 2020. It outlines the Scottish Government’s commitment to maintaining the record levels of funding for active travel for the remainder of this Parliament, as stated in the Programme for Government. The refresh features the introduction of the Active Travel Task Force which will tackle the practical barriers to the delivery of ambitious walking and cycling infrastructure projects in Scotland. It highlights integration with public transport, through partnership working with Scotrail, bus/coach operators and Regional Transport Partnerships (RTPs). Other actions include developing active travel hubs across Scotland by utilising European Regional Development Funding and continued support to educational campaigns aimed at all road users. 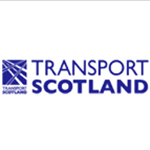 The Taskforce will meet next month and will be chaired by Transport Scotland’s Chief Executive Roy Brannen and will include a representative from the third sector active travel organisations, COSLA, the Regional Transport Partnerships and the Society of Chief Officers of Transportation in Scotland.